Welcome to the Hitching Stone, the creative web site of Tanya and Rodney Noon. We hope that you will enjoy looking at the words and images which you will find here. For the most part the images are Tanya`s creation and Rodney takes responsibility for the deficiencies in the verse, although there is inevitably some element of cross-fertilisation. 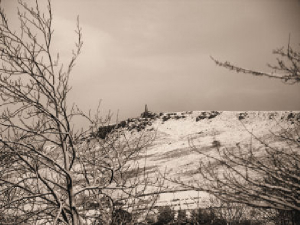 The site is intended as a poetry collection and a picture gallery combined. Although each could stand alone we hope that the combination will enhance your enjoyment of the whole. The work here is made available on a creative commons basis, that is to say that should you find anything here which you like, you are free to make use of it for any non-commercial purpose provided that it is attributed. We would, as a matter of courtesy appreciate you telling us of any use you make of our materials. Finally, please note that this site is currently a work in progress and that new work and images are being added as fast as we can. We do still have to try and earn a living as well ! Please revisit again later when there will be further things to see and read. 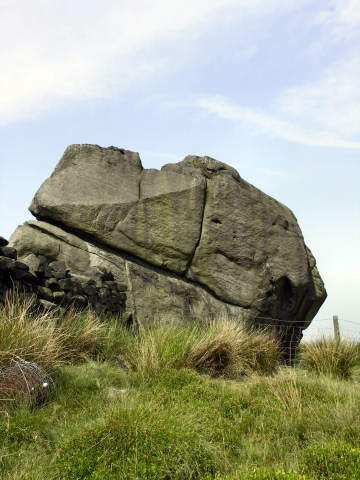 What is the Hitching Stone? 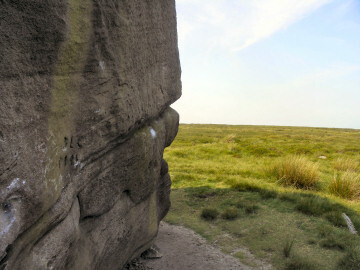 The Hitching Stone is a massive, one thousand ton boulder which stands on the moors above our family home at Cowling on the Yorkshire Pennine hills. 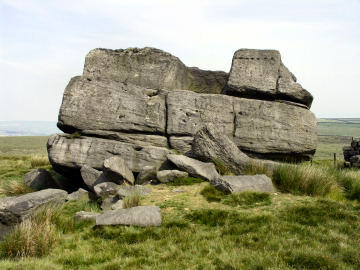 The stone (pictured above) is believed to be the largest of its kind in the county. It currently marks three parish boundaries but in earlier times probably marked tribal boundaries. Certainly the cup and ring marks cut into it suggest that it has been a land mark of great significance since at least the Bronze Age. We know that until comparatively recently it was a meeting place and the site of fairs and horse racing. A nearby farm is still known as Fair Place. 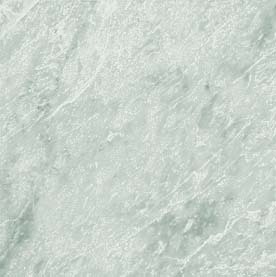 The stone has close associations with people coming together to create something and with the veneration of nature in the context of a sacred landscape. These are themes which we have both in different ways visited and re-visited in our work, and it seemed appropriate to, quite literally, 'hitch' our work to this most ancient of landmarks. 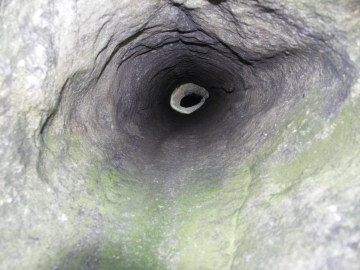 One of the mysteries about the Hitching Stone is the long straight hole which runs through it. What is it and how was it formed? Perhaps the ghostly image of a fallen tree which lay in the sediment of a tropical ocean millions of years ago? Only the Hitching Stone knows the answer.